Automatic Tandoori Roti Making Machine is a good Idea for set up a Small Business. The machine can be used in Restaurant or at home. With Automatic Tandoori Roti Making Machine you can make more Tandoori roti in less time. You can use the machine in Restaurant or hotels or at home. 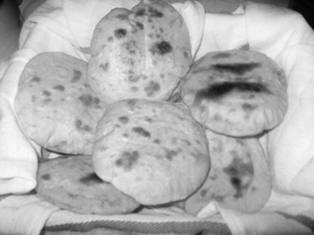 The demand of Tandoori roti is found in restaurants, hotels in all seasons. At first you have to put flour in Mixer Machine. Then you have to pour the mixture in the hopper of the Tandoori Roti Making Machine. Now start the machine. At last you have to use the woven and your Tandoori Roti is ready. With this machine you can make 10 Tandoori roti in 1 minute. It needs 2 hp motor and 220 volt to operate the machine. The price of the Mixer Machine (30 kg mixture) is approximately Rs. 20,000 and the price of the Automatic Tandoori Roti Making Machine is approximately Rs. 1 lakh. You can find many companies manufacturing a wide range of Tandoori Roti making machine. Their machine matches high technology electronic control.